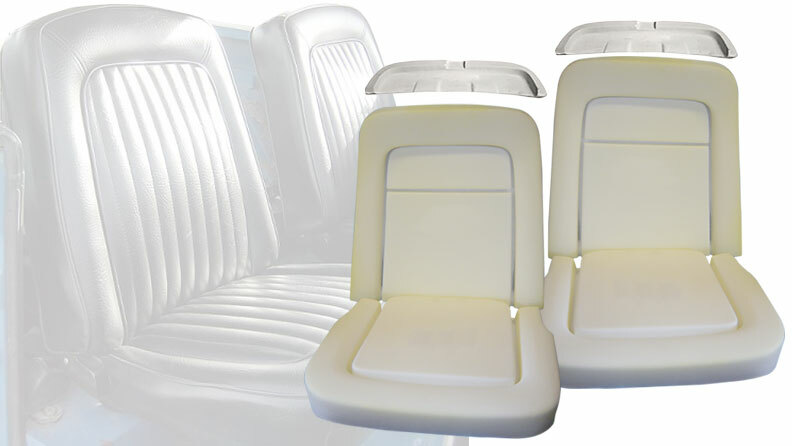 This is complete set of seat covers for your 68-77 Ford Bronco. 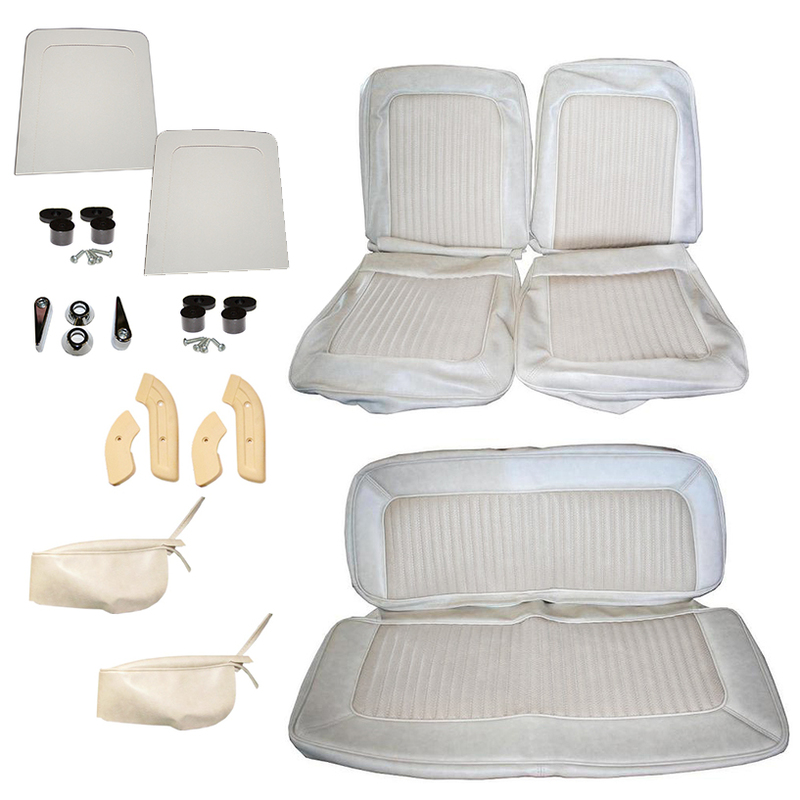 This deluxe kit includes all the parts needed for reupholstery (we do recommend also purchasing new seat foam). Excellent quality seat covers. Covers front and rear. Parchment vinyl material. 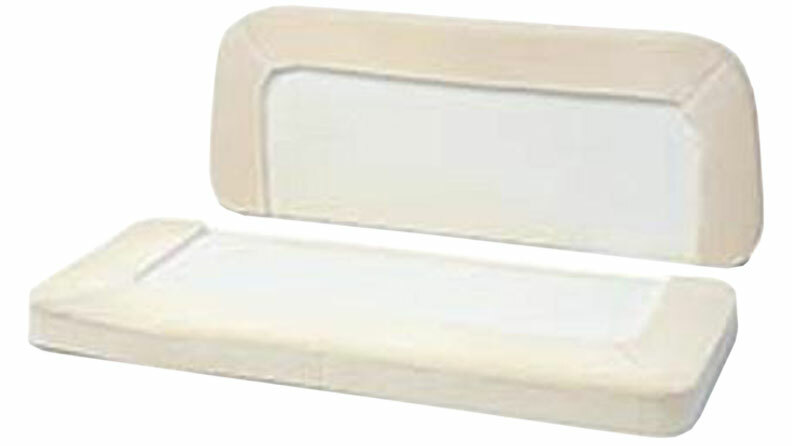 Includes OE style plastic seat backings for fronts with clips. 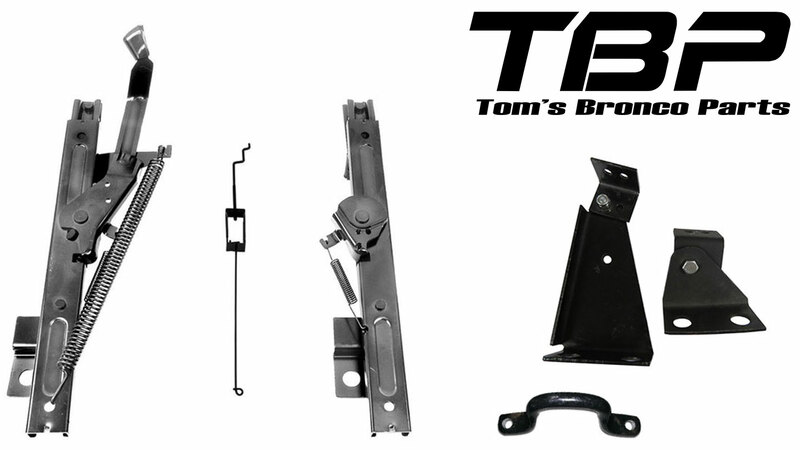 Also includes rear arm rest covers, chrome seat hinge levers, seat hinge covers and seat bumpers.